OVERLAND PARK, Kan., June 29, 2018 /PRNewswire/ -- Sprint (NYSE: S) announced today the appointment of Andrew Davies as the company's Chief Financial Officer. Davies will assume the role on July 2 and will report to Chief Executive Officer Michel Combes. Davies will be responsible for Sprint's day-to-day financial strategy and operations, including accounting and reporting, financial planning and analysis, treasury, tax, investor relations, risk management, auditing, and mergers and acquisitions. Davies most recently served as Group CFO for Amsterdam-based VEON before stepping down from that role in November 2017. Immediately preceding his role with VEON, Davies spent over a decade with Vodafone Group holding various financial leadership positions in Japan, Turkey, India, and finally as CFO of Verizon Wireless in the U.S.
"Andrew has significant experience in the telecommunications industry here in America and around the world, making him an invaluable addition to Sprint's leadership team," said Sprint CEO Michel Combes. "He has helped to lead companies through transformational periods and is the perfect fit to strengthen our leadership team for the next phase of our transformation." "It's an exciting time to join Sprint and build on the incredible progress the company has made in the past four years," said Davies. "Sprint has incredible assets, strong financials and subscriber momentum. I look forward to helping the leadership team execute the plan and deliver on the aggressive goals and objectives laid out by Michel and Marcelo." 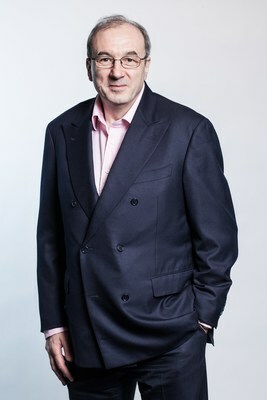 Prior to joining Vodafone Group, Davies started his career with KPMG in Cardiff, Wales before serving in progressively senior finance roles with GE, Honeywell, and the Caudwell Group in both the U.K. and the U.S. Davies graduated with an honors degree in Mathematics from London's Imperial College of Science, Technology and Medicine, is an Associate of the Royal College of Science and is a Fellow of the Institute of Chartered Accountants in England and Wales. At VEON, Davies led a global team as Group CFO and is credited as being instrumental in driving its turnaround. During his four years with the company, VEON went through a radical transformation highlighted by substantial improvements in free cash flow and over $50B of corporate finance transactions. Davies played a key role in the formation of Wind Tre, the leading cellular communications business in Italy, which is a joint venture between VEON and CK Hutchison. He recently stepped down from that company's Board of Directors. Sprint recently announced a merger with T-Mobile US. The transaction is subject to customary closing conditions, including regulatory approvals. The transaction is expected to close no later than the first half of 2019. Sprint (NYSE: S) is a communications services company that creates more and better ways to connect its customers to the things they care about most. Sprint served 54.6 million connections as of March 31, 2018 and is widely recognized for developing, engineering and deploying innovative technologies, including the first wireless 4G service from a national carrier in the United States; leading no-contract brands including Virgin Mobile USA, Boost Mobile, and Assurance Wireless; instant national and international push-to-talk capabilities; and a global Tier 1 Internet backbone. Today, Sprint's legacy of innovation and service continues with an increased investment to dramatically improve coverage, reliability, and speed across its nationwide network and commitment to launching the first 5G mobile network in the U.S. You can learn more and visit Sprint at www.sprint.com orwww.facebook.com/sprint and www.twitter.com/sprint.